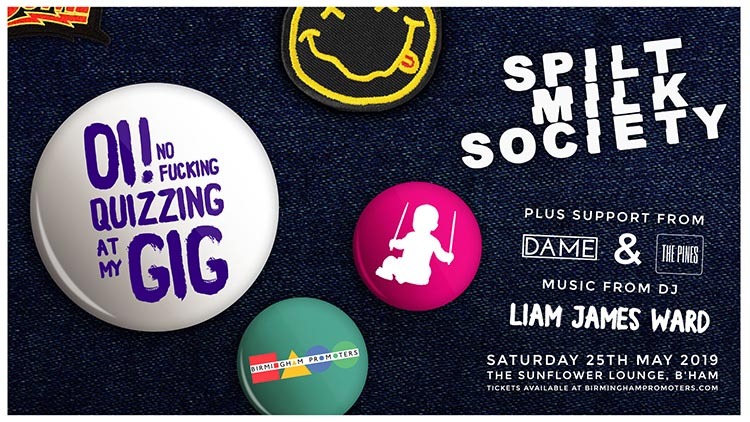 Born Music and Birmingham Promoters have teamed up to bring YOU a brand new night of fun and games to The Sunflower Lounge. Join us on Saturday 25th May to check out Spilt Milk Society, DAME and The Pines for an incredible gig, but that’s not all – you can get ready to be quizzed by them too! Think you can take on their Qs and win? Roll on up and see! Prizes include £50 bar tab for the winner plus a load of merchandise goodies up for grabs… Plus Dork affiliate Liam James Ward will be DJing ’til 3am (No Cinderella’s allowed). 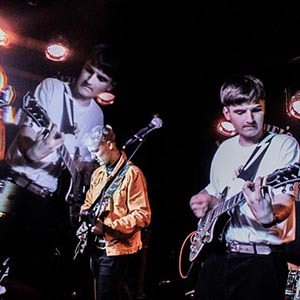 BBC Introducing’s Adam Crowther called Spilt Milk Society “the most exciting band we’ve championed years” and said that “they have a bold, energetic and instantly lovable sound to their music”. 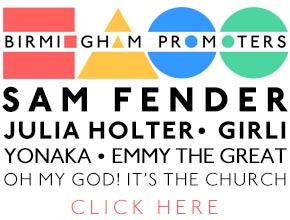 Fred Perry Sub Culture called them “one of Birmingham’s brightest future bands”. The end of 2017 saw Spilt Milk Society hit a million streams on Spotify – a number that has now grown to over 3 million – and the band now settled into a new home in Liverpool to focus purely on music. 2018 came around and they took a 6 month break to reorganise and spend time writing following the signing of their first contract with Believe Digital UK. With bigger production, a clearer direction and fan base averaging at 150,000 monthly listeners on Spotify, Spilt Milk Society are set to release three singles in the coming months. The first, Turtleneck Boy, is to be complemented by a clothing range, named ‘TURTS’, and music video. October 2018 will see their first lap of the UK accompanying Turtleneck Boy’s release. Other projects they have completed during their break include Harry’s solo outlet strawberry milkshake, Josh’s Toxteth Project, Freddie’s Boy, Yowstra, Rob’s nun, and an E.P featuring songs they’ve collaborated on with fellow Birmingham bands Sugarthief and Violet. DAME are an indie electronic-pop band, originally from Birmingham. 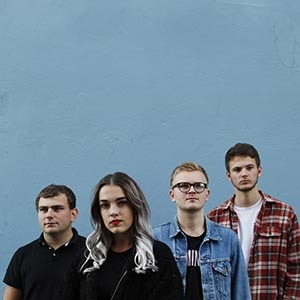 Formed in 2016, their self-titled debut EP has racked up over 25,000 streams on Spotify, with lead single Runaway gaining multiple plays on BBC West Midlands. Two years later, and with a new revamped lineup, DAME have released their new single Habit, described by Redbrick Music as ‘superb songwriting marrying glitzy production in a wonderful, confetti-filled ceremony’. New music and UK tour planned for early 2019, DAME are certainly one to watch. 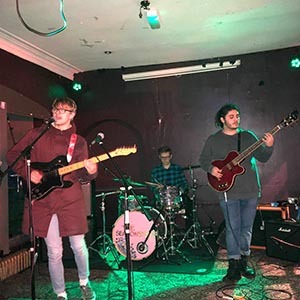 The Pines are a Birmingham/Dudley based 3 piece indie band with influences such as Oasis, The Beatles, Arctic Monkeys, Catfish and the bottlemen ect. We have that classic indie sound but with originality been we only play originals, previously showcased in venues such as the sunflower lounge, o2 institute and academy3, the victoria, the castle and falcon, the hummingbird and many more. We are expecting to have our debut single out in May.